As director Alan Taylor moves toward the July 1, 2015 release date of his Terminator reboot, he has also begun casting some of the film’s other actors, on the off chance that Arnold Schwarzenegger’s availability is not reason enough to revive the franchise. 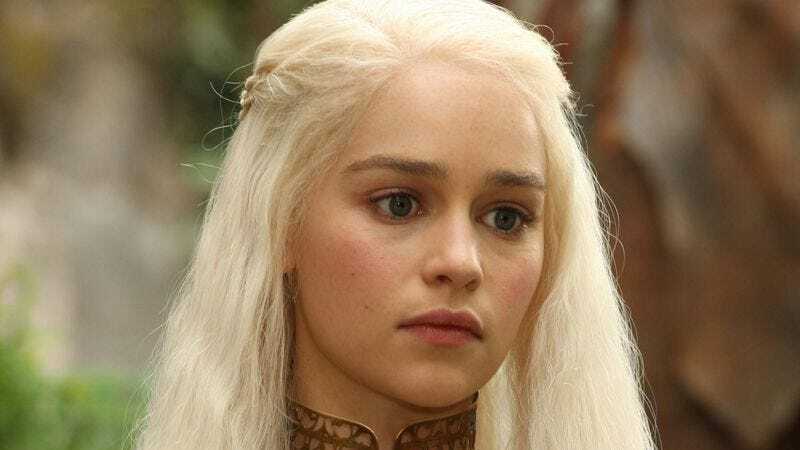 With that in mind, The Hollywood Reporter has kicked off speculation about who will play the crucial role of Sarah Connor that must be recast, apparently, even though a visibly aged Schwarzenegger is allowed to play his immortal cyborg role again, saying that Game Of Thrones’ Emilia Clarke, The Spectacular Now’s Brie Larson, and Wolf Of Wall Street’s Margot Robbie are all actresses, and are therefore all in contention for the part. That the three would seem to have little in common physically or personality-wise—not only with original star Linda Hamilton, but also with each other—doesn’t really matter in this early phase, of course, much like the fact that Tron: Legacy’s Garret Hedlund is reportedly also up for the role of Kyle Reese, because he’s similarly a working actor and is therefore considered for lots of things. Finally, Taylor is also said to be thinking of Tom Hardy for the role of John Connor, “although at this stage not even a meeting has taken place”—because why let reality intrude on a good thing?